Switzerland's National Public Radio was founded in 1931 as an answer to Nazi-propaganda from Germany. 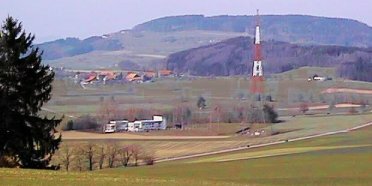 A strong 60 kW AM transmitter at Beromünster, central Switzerland, replaced low-power local radio stations at Zurich, Basel and Berne. The program broadcast was in the German language, spoken by 70% of Switzerland's population (dwelling in northern, eastern and central Switzerland). Similiar stations were built at Sottens (western Switzerland) and later on Monte Ceneri (southern Switzerland) to broadcast programs for the french and italian speaking population there. For several decades Beromünster was the "Voice of Switzerland" not only at home. In the course of the 1930's the Nazi regime brought the German and Austrian press into line so that Swiss media remained the only German-language platform for public criticism on the Nazi ideology. Socialist and liberal Swiss newspapers and Switzerland's National Public Radio did their best to unmask Adolf Hitler and his inhuman political programme. They were a strong counterpoint to Goebbels' propaganda on Germany's broadcasts. In this context one understands the 1935-1937 transmitter and antenna upgrade for better european coverage. During World War II Switzerland's national public radio (www.swissinfo.org) and the British Broadcasting Corporation (www.bbcnews.com) built up a reputation for independent information and they have kept up their professional standards since. Many people in Germany, Austria and other countries in northern and eastern Europe regularly tuned in to Beromünster (then 556 kc) to get independent information, although this was forbidden in Nazi Germany/Austria, under threat of severe punishment. From 1940 to 1945 Prof. Jean-Rodolphe von Salis reported and commented the events on the battlefields of World War II every friday evening. Although not completely free due to censorship measures by the Swiss Government, his reports were highly esteemed by people suffering from Hitler's rule. Hitler himself, however, demanded at least three times officially, that the Swiss Government would remove Prof. von Salis' Weltchronik [World Chronicle] from Radio Beromünster's schedule. More about Prof. von Salis' Weltchronik (in German, not yet translated). After World War II the Allies imposed severe restrictions on Germany. So Germany lost most of it's AM frequencies, partly to neighbouring countries, partly to stations for the entertainment of Allied soldiers in Germany as AFN [American Forces Network] and BFN [British Forces Network]. FM broadcasting with its naturally limited range of propagation offered an opportunity not only to compensate for the loss of frequencies but for a multiplication of frequencies for new programs - and for an improvement in sound quality. 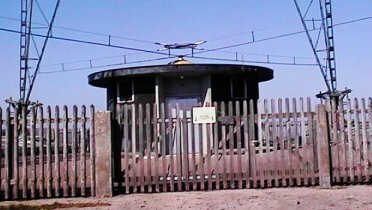 In 1952 already 75 Western German FM stations were on the air, plus 3 AFN, 3 BFN and 3 Eastern German FM stations. (See UKW-Sendertabelle 1952) During the 1960 hundreds of FM transmitters were built also in Switzerland for two programs per language (German, french, italian). By 1970 almost anybody in Switzerland born after 1920 had switched to listening to the FM stations. As in Germany and Austria, the first FM program was the same as the AM program, so the choice was not for different content but for high-fidelity. In 1950, Beromünster had to switch from 556 to 529 kc following the 1948 International Broadcasting Conference in Copenhagen. In 1978 the frequency was again shifted to 531 kc. Since the 1990's there is a separate program schedule for Beromünster, "Musigwälle 531" consisting mainly of traditional Swiss Music while Switzerland's public FM stations play mainly older rock and pop music (program 1), Classical Music (program 2) and modern pop, techno and rap music (program 3). Since 1979 commercial local FM radio stations may get a license - several dozens of them are on the air playing mostly mainstream pop music. The latest transmitter installed at Beromünster could provide for 600 kW power. Recent legislation on "electro-smog" set much lower limits, however. 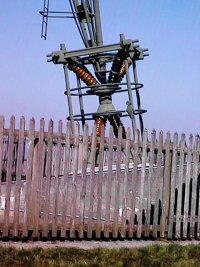 In 2003 the antenna feeder cable has been damaged by lightning. A replacement was planned, but has been cancelled because of massive protests from the local population. Actually the transmitter is operated at only 180 kW power. By the end of 2008 legendary Radio Beromünster will be shut down completely. Transmitter operator Swisscom hopes that Digital Audio Broadcasting (DAB) will be ready to take over by then. Please note that this webpage is part of the independent website http://history-switzerland.geschichte-schweiz.ch dedicated to the history of Switzerland, not the official website of radio station Beromünster. 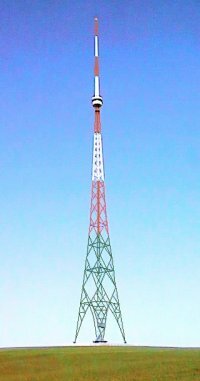 This website features news from Switzerland (text and real audio) and replaces Switzerland's former broadcasting service on shortwave.